Devon Energy Corp is attempting to reduce its debts by selling $3 billion worth of assets. Devon Energy Corp has agreed to sell $1 billion worth of assets in oil fields in Texas and Oklahoma including a royalty interest in the northern Midland Basin to undisclosed buyers after the company announced their plan to lower debt and fund drilling by selling $3 billion worth of assets. The largest transaction for the energy producer was worth $525 million in their East Texas reserves according to a statement they gave. The Oklahoma City-based oil and natural gas producer also sold its $130 million position in the Anadarko Basin’s Granite Wash area. Transactions should close in the third quarter, the company said. The oil industry has been forced to cut costs, downsize their workforce and cut their dividends and exploration budgets due to the slip in the global oil market prices. Chief Executive Officer Dave Hager claims that even as the market rebounded in 2016, the losses they experienced still blocks Devon from growing production again. Devon increased to $37.09 by 3.3 percent in New York’s morning trading. 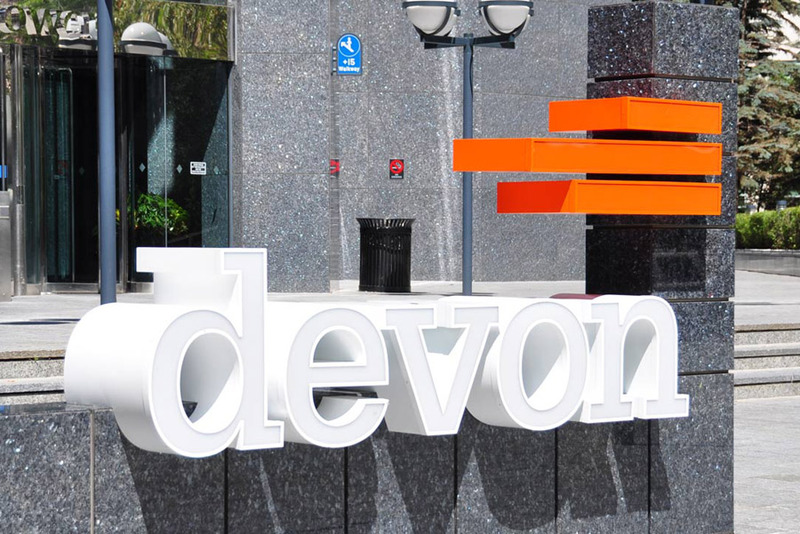 Before Monday’s increase, Devon’s shares have already climbed up 12 percent from the beginning of the year as oil prices slowly return higher. The oil company is also set to sell half of its stakes in the Access Pipeline that transports Canadian heavy oil. CEO Hager said that the 25-year transport agreement is in “advanced negotiations” in their May 18 investor conference. The fields in East Texas produced 22,000 barrels of oil per day in the first three months. 5 percent of its production is in the form of crude oil worth $10 billion. The field still has proven reserves of 87 million barrels while the Granite Wash assets have proven reserves of 31 million barrels and has produced 14,000 barrels in the first quarter with 13 percent of oil at $6 million. U.S. benchamark crude, West Texas Intermediate, bounced back 34 percent this year from its fall of 30 percent in the previous year. In early New York Trading, oil was at $49.58 a barrel. A third of the company’s sales will be dedicated to increase capital spending and pay off debts with the remaining cash, according to Hager’s statement last month. The company will only increase production once progress has been made on the sales of its assets, according to Bloomberg intelligence analyst, Peter Pulikkan.